Working in and around high tech since the 1980s, I've found that group living offers the highest quality of life. I live in one of America's longest lived secular communities. al aric wrote: I live in Northern Cal. I'm wondering if there are any groups, community events for us or...? Just wondering. ic.org is definitely the place to start. FWIW there is the Oakland Morehouse in Oakland and the Lafayette Morehouse in Lafayette, CA. mark best wrote: I was wondering how people found/researched the community they are currently living in? I was living in Boston, having some troubles in my marriage, and my sister-in-law told me to go to New York to take a class about having better relationships. Turned out the people giving the class were from an intentional community in California, and they were presenting the results of their on-going experiments in living together pleasurably. I had no idea what an intentional community was, but the course material was good, and I took a some of their classes in New York and Boston over the next few years. When I moved to California I went and visited them. They are on an edge of the San Francisco Bay area, about 15 miles from where I lived. I kept in touch with the group, and five years later I moved in. I've lived with the group for about 15 years now, and have learned enough that I can teach some of the classes. If you haven't already, I suggest you read Diane Leafe Christian's book Creating a Life Together: Practical Tools to Grow Ecovillages and Intentional Communities. It covers lots of the 'nuts & bolts' issues like liability, agreements, contracts, zoning. Deb Stephens wrote: Thanks for all this information George. I am curious about what happened when you tried packing people tighter as well as what the pros and cons of the adjacent and non-adjacent properties may be. Would you mind elaborating on those? Thanks! Generally having people share rooms worked out fine. Over time some percentage of people couple up or decouple so for those people there is a certain amount of room changing that goes on over time. One thing that seems unique about our group is that a very high percentage of people's "ex" or "former" partners/spouses stay within the group and remain friends. As for distance, the greater the distance, the more the groups become separate and the slower the communication. The Oakland Morehouse is about twelve miles from here and someone visits from one to the other almost every day, but even so it can sometimes feel like a different world. Our community experienced huge growth from 1968 until sometime the early 1980s. It began initially by purchasing a three story multi-family house in downtown Oakland, CA on January 1, 1968, then purchased other houses in the same Oakland neighborhood. About four years later the group purchased a house in a rural town about 20 miles away. The rural group was fortunate in that it was able to, over the next ten years or so, purchase four of the adjacent houses and some adjacent acreage. Later the group purchased two adjacent houses in Hawaii. The adjacent rural houses exist today as a single 23-acre community, http://www.lafayettemorehouse.com. The original urban multifamily house is another group, http://www.oaklandmorehouse.com. The Hawaii Morehouse doesn't have a website. Legally these are separate entities, but in practice, the groups behave as a family. Deb Stephens wrote: <snip> ... are there any successful intentional communities that have the problem of too many members for the size of their land and community goals? <snip> , but I never see these ICs telling people they're all filled up and not to apply. If it does happen, what do you do? Wait for someone to die? Ask your least favorite members to leave so you can get others you like better? Expand the land base? What is your strategy? We've tried most of the above except telling people to go away. We've packed more people in per room - fewer single rooms - we've bought new properties both adjacent and non-adjacent, and some people have gone on to start their own groups. Deb Stephens wrote: <snip> I am especially interested in the possibility of an IC expanding its property to accommodate new members. What do you do if there is no land nearby for sale? Have you considered splinter groups or more properly, a kind of annex or sister site that works with the original community but is separate from it physically? As mentioned above, we've expanded both adjacent and non-adjacent. There are pros & cons to each. Peter Ellis wrote: When I look at intentional communities, it seems to me that the problem is always in "community". Who will own the property, the community, or an individual? Who makes the rules, the community, or an individual? How are rules made? How are decisions made? These social constructs are the essence of community, and where a sufficient number of people can come to a consensus about these elements, we find successful intentional communities. It's not about land, but about commonality of purpose, goals and ideals. The land is the easy part. Finding people you can live and work with is much harder. What I see on the internet is mostly people who want to start communities, I see far fewer people who want to join communities. And they often focus on how they want to build their buildings, heat their homes, raise their crops. They don't focus on how they want to "get along" with each other, and they don't seem to know what the failure rate for new communities is. Having lived in intentional communities for over 16 years, it seems to me that those people are focused on the easy problems. The group I live in now has been living together successfully for almost 48 years. The really hard stuff is the people stuff. Queenie Hankinson wrote: --integral to that should be that the community has a waiting list of potential candidates and retain right to buy back and rights of first refusal to a property with the understanding that within the first year, the community can buy back the property for no more than the price paid the year before. Are there existing communities with waiting lists? I haven't heard of any in years. I would think it would be great, but I haven't seen that kind of real interest. There are lots of people seeking community. The fact that so many more have been forming in the past 5-10 years (see CDFI for stats) is an indicator. And many more people are out of work and need to sustain themselves in more direct (i.e. growing food) ways; doing that in community is a lot easier and less scary than alone. Can you give me more information on Morehouse? I would like to check into what they offer. http://www.LafayetteMorehouse.com, established July 1968. In Lafayette, CA, Oakland, CA and in Hawaii. Joshua, can you remind me of which morehouse you lived in and what years you were there? We are in the San Francisco Bay Area and are going to be offering another of our work/study programs April 17 thru May 8. These are for folks who want to get a taste of what its like to live in an intentional community, or who are curious about one way that people can live together pleasurably, or who want to get a close look at a model that has worked for over 45 years. 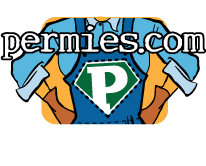 We are not "permies", the focus of this program is not permaculture. We are big on re-use, re-purpose, re-cycle (at one point we made buildings from trash and waste paper), we do sheet composting to rebuild our soil, and so on. Our focus (and our strength) is about living together pleasurably on our 23 acres. cairn paul wrote: 20 people living in a house would be impossible, we'd need a huge house to start with, then there would be arguments, petty squabbles, to say nothing of disease which would rage through a household of such proximity. Perhaps I am misunderstanding your post, but I want to point out that the Oakland Morehouse , which typically has between 15 and 25 residents, has been a successful communal house ("intentional community") since 1968, so not impossible, in fact proven possible and successful.